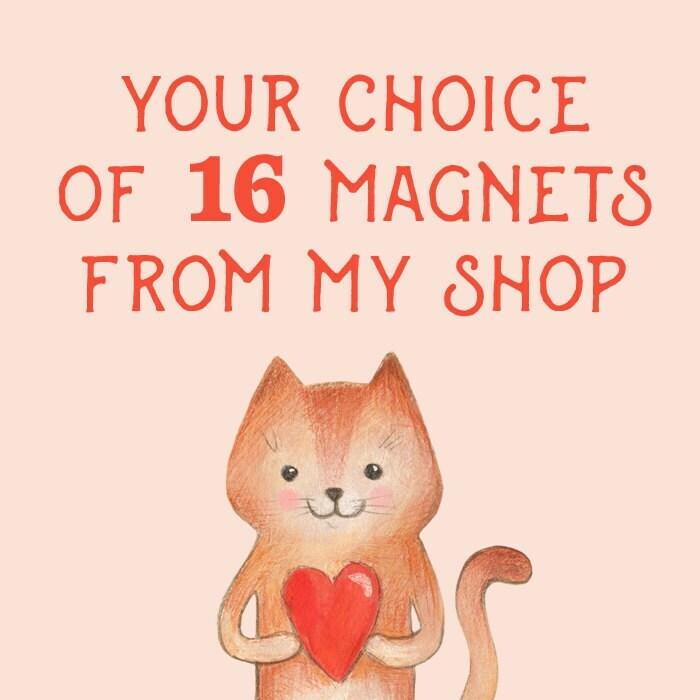 Your Choice of 16 Fridge Magnets from our Etsy Store! 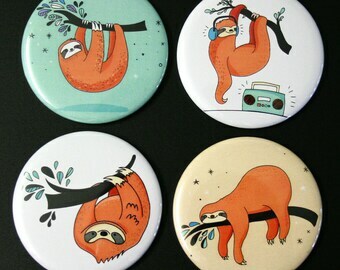 Too many cool magnets to choose just one set? Then choose more! Or mix and match designs from across our store! EXCLUSIONS: Designs from listing #261588537 (Red & White 12pc Pattern Set) are not available for selection via this listing,sorry! These are top quality magnets made by myself using a button machine, a top line printer and archive quality papers. They are perfect for use on your fridge or on any other magnetic surface. The magnets are medium strength. A single magnet and can comfortably hold two sheets of 80gsm paper. If you have a modern stainless steel fridge please be aware that the doors on some models are not very magnetic and can struggle to hold some magnets. The magnets they do hold may only be suitable for decorative use. The sides of the fridge are often more magnetic than the front. Please contact me with any questions prior to ordering, thank you! 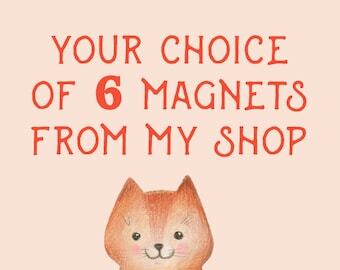 Your Choice of 6 Fridge Magnets from our Etsy Store! 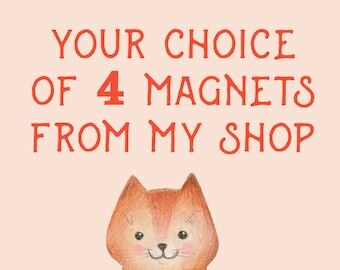 Your Choice of 4 Fridge Magnets from our Etsy Store! 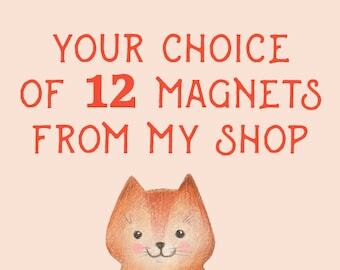 Your Choice of 12 Fridge Magnets from our Etsy Store! These are adorable; a perfect mixture of book and cartoon illustrations. Great for any Winnie the Pooh fan, and they make cute individual gifts too.